During classes & practicas, while we're learning technique or figures, our brains are generally in a more analytic mode. We break down figures to individual components, and think through what our bodies are doing. The goal is to work correct technique into our muscle memory, so we can dance fluidly. And by the time we get to a milonga, our fluid dancing will reflect a more intuitive mental state rather than an analytical one. 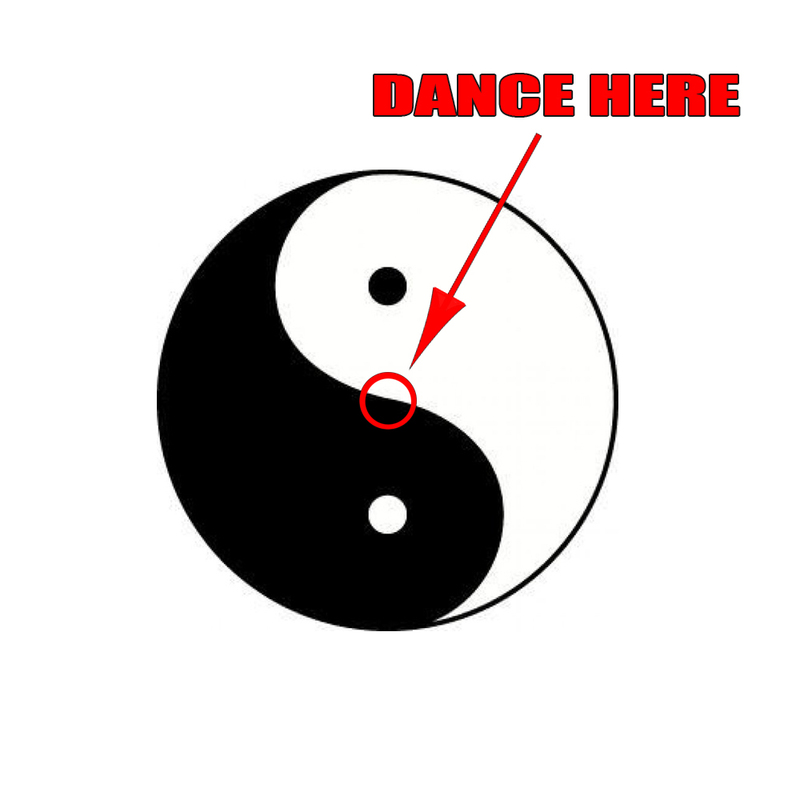 One way we sabotage our dancing is when we apply analytical thinking at the wrong time. If we're overthinking technique during social dancing, we're likely to feel awkward or stiff. At a milonga, good dancing happens when we balance analytical thinking with intuitive. There are moments when we feel as though we're in a meditative state while dancing, and things feel as though they're flowing nicely. As pleasant as that is, we can't get completely lost in the moment and the music. A part of our brain also needs to stay "awake" by being focused on remembering basic technique, such as keeping good posture and staying balanced. Go too far in either direction, and the dance falls apart. The two modes of thinking have to work in balance. So not only do we physically dance tango, we dance tango mentally as well.